Introducing the newest addition to our range of Antique French Style furniture, coming from the Valence Collection. 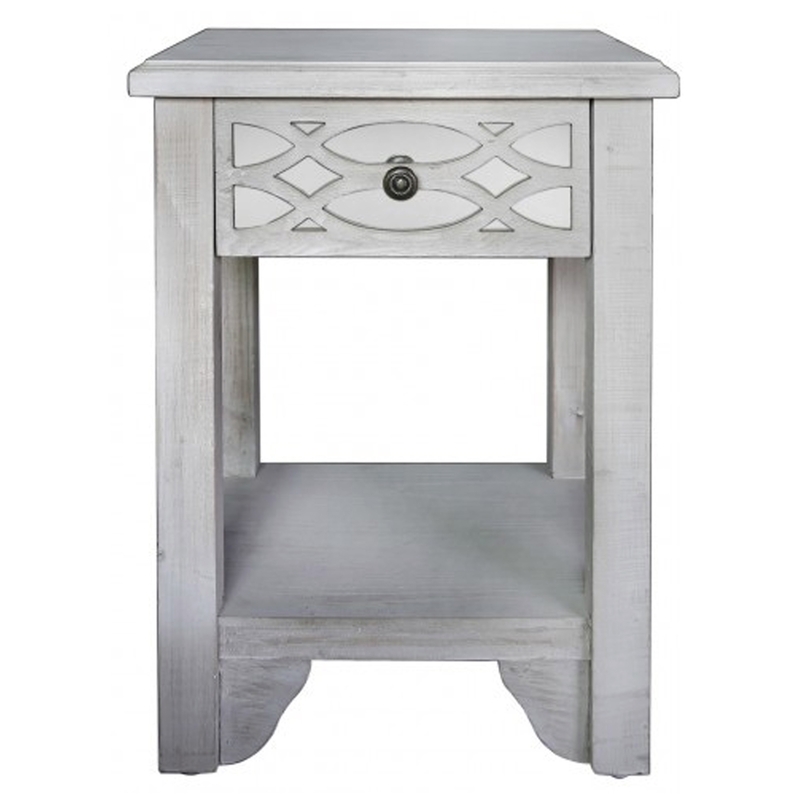 This beautiful one drawer side table in a washed ash colour is the perfect addition to add to your home if you're looking for a French Style theme. With metal handles and a lower shelf it will fit into any room with ease.